15-20 minute performances will take place in different galleries at 1 p.m., 2 p.m., 3 p.m. In honor of the theme Women Making History, and the Smithsonian free day We.Construct.Marvels.Between.Monuments. has invited artist Carolyn Pennypacker Riggs to create a site specific performance at PAM that will be taking place throughout the day in different galleries. 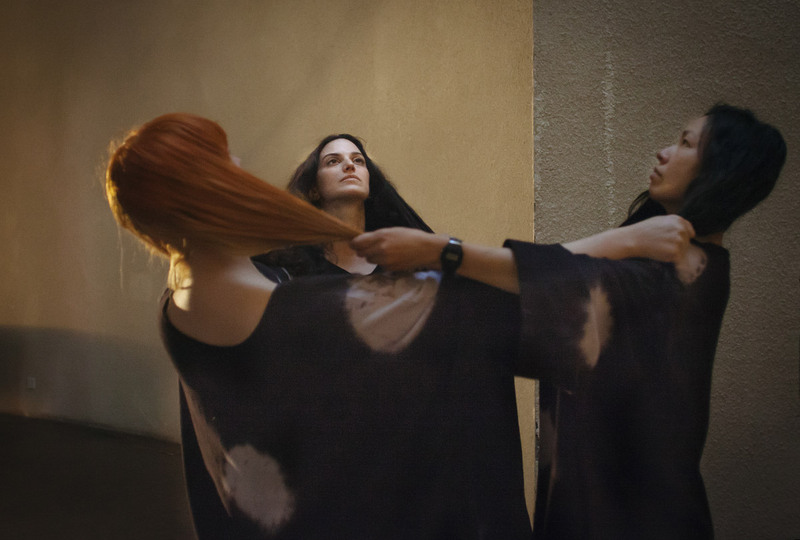 LA-based interdisciplinary artist and composer, Carolyn Pennypacker Riggs creates immersive public ritual with sculpture, video, costume, and collective performance. Her work confronts ancient archetypes, canonized heroic narratives, and mythological tropes to explore structures of power and the actions we can take – both as individuals and collectively – to destabilize real-life hegemonies. She leads Community Chorus, a resistance-themed, no-commitment chorus that sings at justice-themed rallies, marches, and events; is one half of the pop duo, Bouquet; and is the creator/composer of the choral/movement ensemble, Song of Eurydice. Pennypacker Riggs has presented her work at The Getty Center, Hammer Museum, MoCA LA, The Broad, SFMOMA, Bangkok University, deYoung Museum, Berkeley Art Museum, and Yerba Buena Center for the Arts. Pennypacker Riggs will perform with Amenta Abioto and Vaughn Kimmons. There in the Inbetween at House of the Book 1/28/18 with Arlene Deradoorian and Tany Ling.